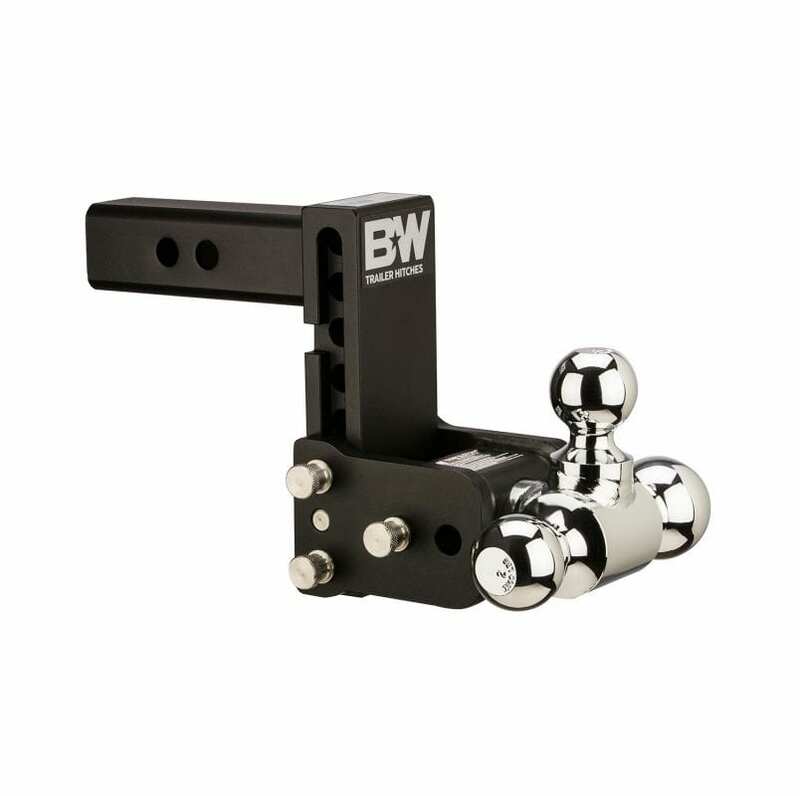 B&W’s Tow & Stow Adjustable Ball Mount is the most innovative product in recent history when it comes to towing. It seems B&W thought of everything when they designed this receiver hitch. Because of that, it’ll be the last one you’ll ever buy. The Tow & Stow is adjustable to the height of your trailer, which is an important safety consideration, and it’s also super convenient for folks who have different trailers. Whether you’re pulling your boat, camper or equipment trailer, the Tow & Stow quickly and easily adjusts to the proper height, making towing less stressful and safer. For the same reasons, multiple ball sizes accommodate your boat, lawn mower or ATV trailer. This one hitch can be locked into your receiver, and you don’t ever have to worry about changing ball mounts. The Tow & Stow also stows behind the bumper when not in use. This will save wear and tear on your shins and garage doors. With steel construction and a two-step ecoat and powdercoat finish, the Tow & Stow is bombproof and 100-percent made in America with stainless steel pins. It is available in multiple drops and shank sizes with two or three ball size combinations. It is also available in black, chrome and Browning colors.